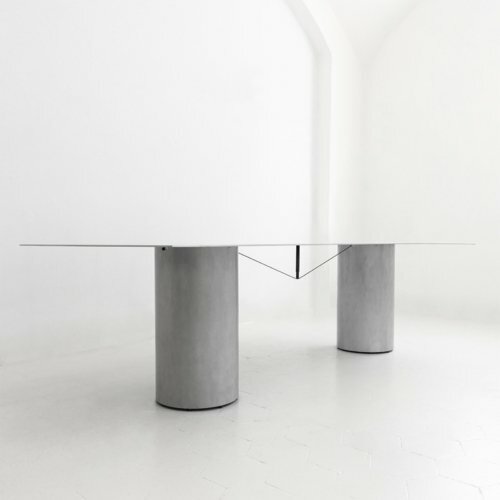 Equilibrium console is characterised by the very fine profiles of the two elements, which stay in balance thanks to a system of tension triggered by a small gesture. 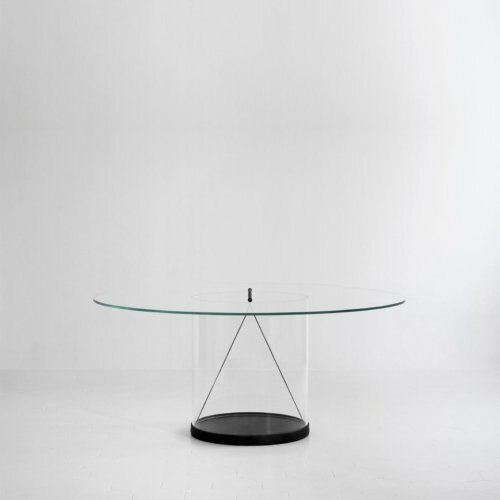 The construction allows the whole piece to be visually very light, going as thin as possibile. The purity of the minimal composition is deliberately perturbed by the choice of materials and their finish, or by the presence of the small details. The structure is made out of 3 millimeters darkened Corten steel sheets, which are bent and held in position through the use of a stainless steel cable. The top element is bent in order to get charged with the tension necessary to close the circuit, from which the drawing of its gentle curves derives. The two little hammered pins are used to avoid the movements between the two parts.